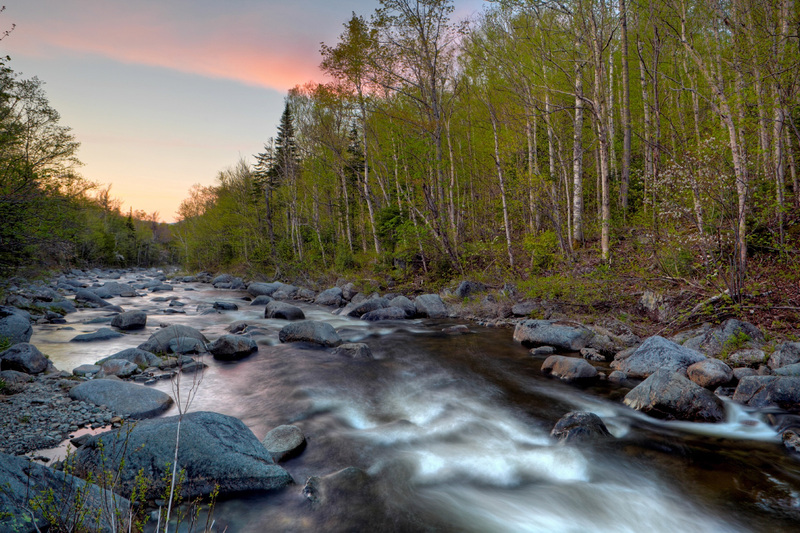 Located near the growing recreational hubs of Carrabassett Valley, Rangeley, and Kingfield, Orbeton Stream’s nearly 6,000 acres comprise a significant part of Maine’s working forests. We helped protect the property with a conservation easement ensuring a continued source of sustainably managed and certified forest products and safeguarding public access for fishing, hiking, paddling, and hunting. The Orbeton property abuts the Appalachian Trail (A.T.) and includes a 6.4-mile section of Maine’s Interconnected Trail System, providing the only trail connection that crosses the A.T., connecting Rangeley and the small communities to the east. Also found here is critical habitat for the federally-listed endangered Atlantic salmon, making the property's protection a conservation priority by the State Wildlife Action Plan. Orbeton Stream represents important working forest, recreation land, and critical habitat, all of which contributed to its high national ranking in the President’s Federal Forest Legacy Program.